This is a roundup of all the breaking news from around the Las Vegas valley for October 16, 2018. A man is dead after being struck by a SUV on West Tropicana east of South Duneville Street. It happened at approximately 7:56 p.m. The pedestrian was not in a crosswalk. It is believed the pedestrian may have been impaired. This is the 111th fatal traffic-related collision in 2018. Las Vegas police confirmed a 19-year-old man has been arrested after a hit-and-run crash near Nellis Boulevard and Gowan Road. Police said the 40-year-old female pedestrian was pushing a shopping cart and walking a dog in the middle of the roadway when she and her dog were hit by an Infiniti. The woman remains in critical condition at UMC Trauma while the dog died of his injuries. A man is in the hospital after his vehicle fell on him while he was working on it. It happened on Connie Drive near Rainbow Boulevard and Alta Drive. He was discovered by a postal worker. He was transported to University Medical Center in unknown condition. Small fire in boy's bathroom at John Park Elementary School near Maryland Parkway and Franklin Avenue. School was evacuated. Fire is out. No injuries reported. 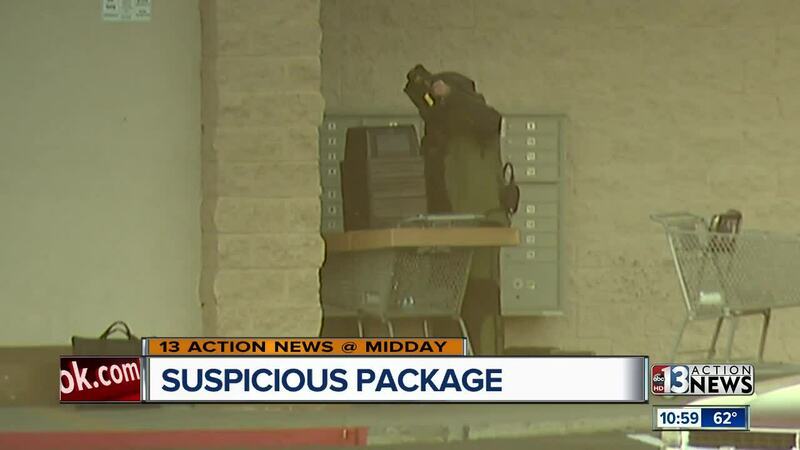 Police say that the suspicious package turned out not to be a threat and the Smith's shopping center has reopened to the public. There's an injury crash in northbound lanes near U.S. 95 and Charleston Boulevard. Traffic is backed up. Police verified in a media briefing that a suspicious package was located outside of a Smith's grocery store near Sandhill and Flamingo Road. Police are asking people to stay away from the area while they investigate. The incident is also causing traffic issues on Flamingo Road. Police have confirmed they are investigating a suspicious package at the Smith's shopping center in the 3800 block of East Flamingo Road. 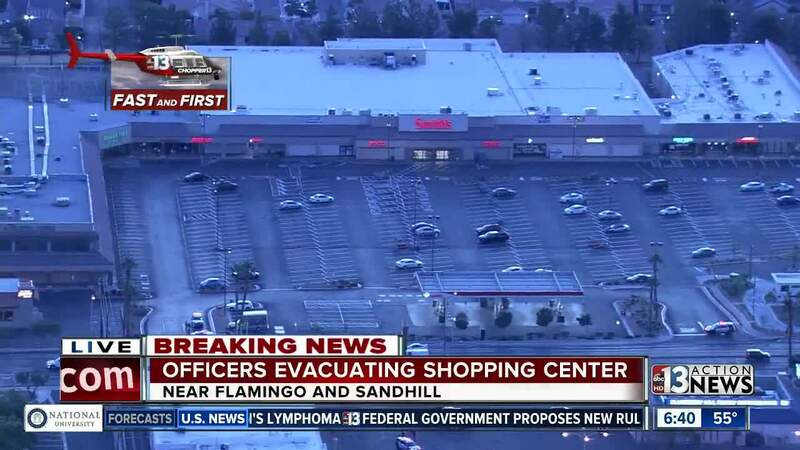 There will be a media briefing at 7:30 a.m.
UPDATE: @LVMPD says they're investigating a suspicious package. A Smith's employee tells us somebody found a note mentioning a pipe bomb. Police are at a Smith's grocery store near Sandhill and Flamingo Road. At this time, it is not known why they are at the grocery store. The store has been evacuated. 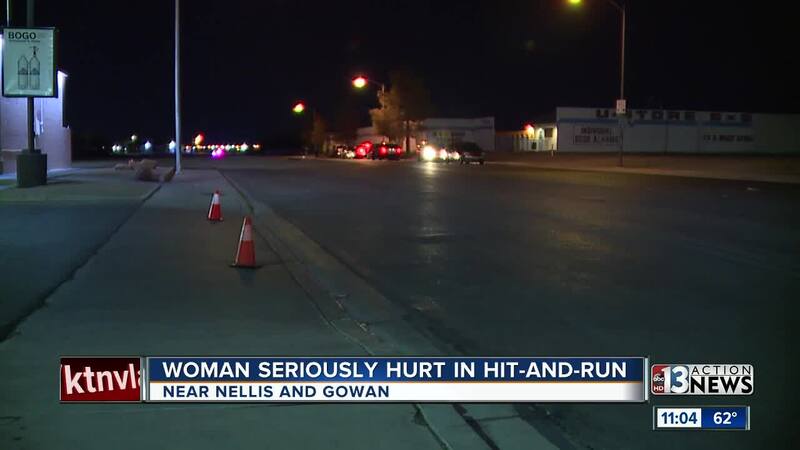 A woman was seriously injured shortly before midnight when she was struck by a car that did not stop near Gowan and Nellis Boulevard. She was transported to hospital with life-threatening injuries and traffic’s fatal team responded to scene. Gowan was closed between Nellis and Lamont. Police say they have located a possible suspect.